The burial site of the Salian emperors, which is reached by a small staircase from the crypt, ist the "holiest of the holy" in Speyer. 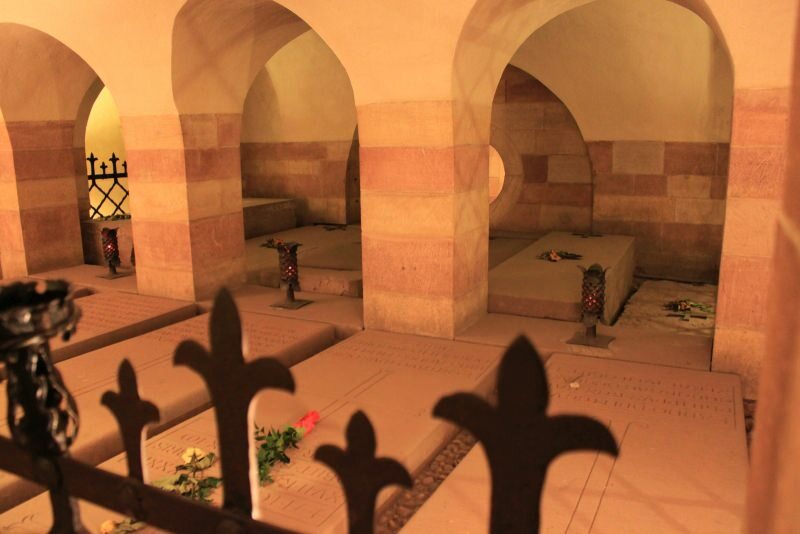 In total eight German emperors and kings are buried here, partly with their spouses, and also several bishops. This burial site was installed at the beginning of the 20th century, before that the graves were underneath the main nave.